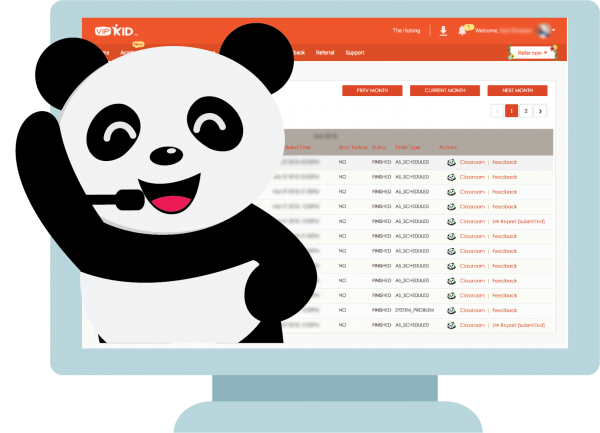 FeedbackPanda integrates into your VIPKID teaching portal. With the browser extension, you can generate your feedback and notes in one click on the FeedbackPanda button in your classroom or classrooms page. We currently offer our Browser Extension for Google Chrome, Mozilla Firefox and Microsoft Edge. A Panda button is placed inside every Classroom and next to each class in the Classroom List. 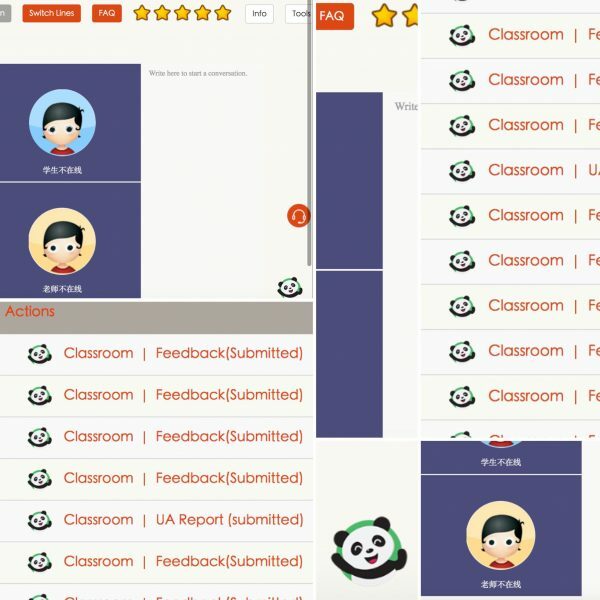 Clicking on the Panda button from your VIPKID portal will open a new tab, immediately loading FeedbackPanda and automatically opening up the “Create new Feedback” window. There, the correct student and course will be already pre-selected. If this is a new student or course, the names of both will be pre-filled when creating the course and student. If you have already created a template, it will be automatically selected. That way, your feedback will be ready for immediate customization. What used to take five minutes or more has now been reduced to a single click. Now, you can focus on the parts of your feedback that really matter. The more you use FeedbackPanda with VIPKID, the more often it will automatically generate feedback for you. After creating a template for a course, that template can and will be used again the next time you teach that course. Write once, use many, many times. 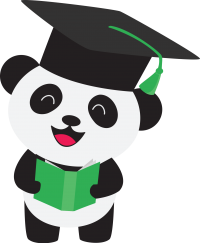 FeedbackPanda will take care of putting the student’s name into your feedback and make sure the pronouns are correct for the student’s gender. On the FeedbackPandaCloud, thousands of VIPKID teachers share their best feedback templates with all other VIPKID teachers. There are over 100.000 templates shared on the FeedbackPandaCloud. Currently, our teachers have imported a template from the Cloud almost one million times. FeedbackPanda is so amazingly helpful. It really has taken the stress out of doing feedback. I feel so much more organized, and I really like being able to go back and read all of my feedback for a particular student. 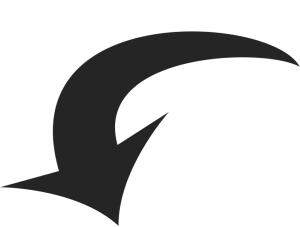 Feedback Panda is very easy to use and navigate. I feel organized and I’m working smarter and more efficiently. I’m sorry I didn’t start using Feedback Panda 200 classes ago, but it’s never too late to start! 5 stars for Feedback Panda! They just added the feedback cloud which gives you access to a TON of pre-written feedback that you can edit. Saves me even more time!!!! I finished my feedback in record time today. Thank you Feedback Panda! It dramatically helped the efficiency of my work, and also, to keep my students’ profiles organized. It is AMAZING. I could not be more grateful than that. Thank you so much for inventing a version especially for VIPKID. I’m immensely grateful! When I think about how much time Feedback Panda saves me each day, I am amazed that not all teachers use it. It is a lifesaver! The creators are super responsive and helpful, too. THANK YOU!!! I can’t say enough amazing things about Feedback Panda! It has cut my feedback time down from over 10 minutes to 1 and even less than 1! You can customize and change your templates as often or however you chose. Your students are saved each time you create feedback for them so you can easily track who you’ve seen and when. LOVE THIS PROGRAM! 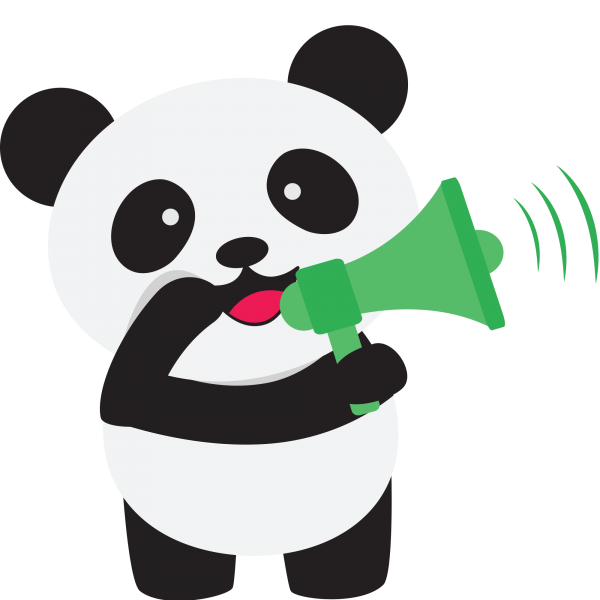 Feedback Panda is best bang (bang da) for your buck! I just started using it today and it saved me so much time on my feedback! Oh my goodness. I am so excited. I just entered today’s classes even though I already wrote feedback by hand. SO NICE!!! This is amazing! Ready to join Thousands of Happy VIPKID Teachers? Free 30 day trial. No billing information necessary.